Looking for best glasses for drinking Scotch? I decided to make an article about the best Scotch drinking glasses. Whether it’s a custom or personalized Scotch glass, or just plain and simple crystal Scotch glasses, which happen to be the best of their kind, you can find them in this article. Most whisky enthusiasts ask themselves, which are the best Scotch whiskey glasses you can get? The best Scotch glasses for tasting whiskey or even bourbon (it’s whiskey too even though not Scotch). You face terms such as Scotch nosing glass, whiskey tumbler, Glencairn whisky glass, nosing Copita glass – just to name a few. It’s all the same, whether you call it a Scotch glass, bourbon glass or whiskey glass with or without the e in the word whiskey. What means most is the shape of the glass. Is it shaped for nosing or is it like a regular whiskey tumbler. You can choose any kind of Scotch glass for yourself, it can be a tumbler glass or a nosing glass. What’s most important, is the fact that you like the glass. Whether it’s monogrammed or the best crystal Scotch glasses or some other custom Scotch glass, or just plain regular one from the store next to you – if you like it, it’s good! No matter if it is a Scotch glass for nosing or just a regular tumbler. Or even an ordinary drinking glass or a bowl or a mug. If the glass is clean, the dram tastes same. Taste of whiskey can change over time but it has nothing to do with the glass shape – it’s because of oxidation. Unless you tamper the whiskey with something, water or with using a dirty glass, whiskey will taste the same. It is the aromas you’re improving when choosing the best glass to drink Scotch or any other kind of single malt or whiskey. As a whiskey enthusiast it’s funny how other alcoholic beverages or spirits have their own glasses designed just for each drink in question. Well, not all but almost all – champagne, grappa or brandy for example. But single malt whiskey or bourbon and blends have been tasted in regular glasses or even in a coffee mug over the years. Which is actually pretty cool, whiskey is a drink to every class, to every occasion. So whiskey doesn’t have a custom glass designed for them. Or actually, nowadays it has but the invention is kinda new. It’s the Glencairn glass, which in my opinion, is the best Scotch whiskey glass. Of course other brands have designed something similar to Glencairn. Nosing glass is something designed for capturing the aromas of the water of life the best way possible. Usually nosing glasses are shaped as wide from the bottom, narrow at the top. Often the top of the Scotch glass for nosing opens up a bit. This gives away the aromas much better. You can find different shapes ofnosing glasses from the market. 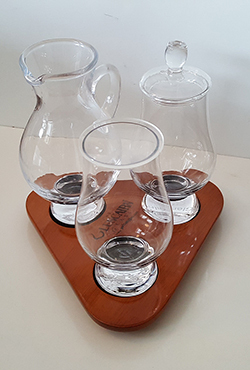 Glencairn is one of the most known Scotch glasses for nosing. Nosing glasses are used with other alcoholic drinks too but usually nosing glasses are used for Scotch, bourbon or other whiskies. As said in the paragraph before, Glencairn Scotch glass is one of the most known Scotch glasses. It is probably the best glass for Scotch or any other whiskey. Well, their Copita styled Scotch glass is an exception, but otherwise, their regular nosing glass and Canadian mixer glass are both good choices. Offering the aromas in the best way imaginable. Glencairn is a recognized glass brand. Professionals and connoisseurs use them frequently. What’s most amazing about Glencairn glasses, they are reasonably priced. Although you can buy expensive Glencairns as well, if you choose the Cut Crystal Scotch glass by Glencairn. Glencairn is usually recognized as the best single malt Scotch glass but of course you can use it with bourbon, rye or blended whiskey. The price point is great – surely a bang for buck glass if I may say so. Any custom Glencairn will cost a bit more, you can get them engraved or monogrammed. And the Cut Crystal Scotch glasses by Glencairn cost pretty much – they are pretty, though. Nosing glasses come in two different types: regular nosing glass and Copita glass for nosing. I have an article about Nosing Copita glasses but below, I’ll give you the difference of Copita in a nutshell. Tumbler is the traditional Scotch glass, the thick one you’ll usually see in silver screen or in television. Tumblers usually come with whiskey decanter sets. Nosing Copita glass is a classic version of the typical nosing glass, the one with a thin neck. That is why I like Copita nosing glasses very much. There are different forms of Copita glasses out there, depending on the choices that glass brands have made with the design. Although the original Glencairn glass is definitely one of the best Scotch glasses you can get, too bad that their their Copita isn’t nearly as good. 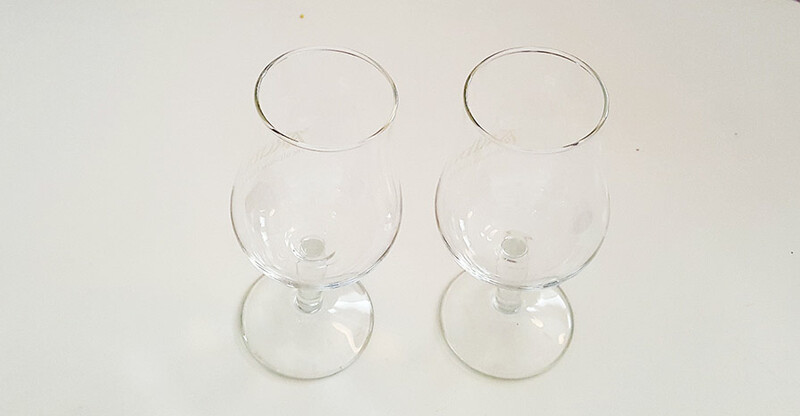 We tested Glencairn’s Copita nosing glass with their original version – had them head to head (with same dram in the glass) in one of our local whisky society tastings. We found out that Glencairn Copita won’t give as much aromas as the regular version. 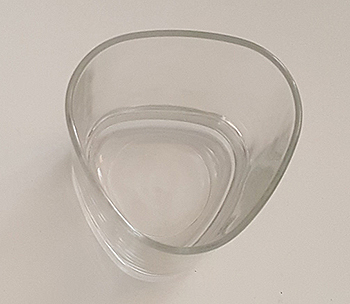 Because the top of the glass has different shape. That is why I use Copita glasses from other producers. Copita glass shape has to be the same kind you’ll get with original Glencairn – weird that Glencairn designs the shape differently with their nosing Copita. 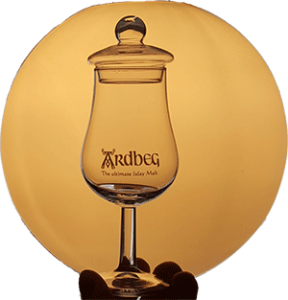 Scotch tumbler glass is the one you will mostly see associated to whiskey everywhere. Especially in television and on silver screen. It is like a regular glass, doesn’t offer anything else but a bold look. Strong thick glass, not a highball glass, but enough room for ice. Tumbler is the traditional way to go – stylish way of drinking whiskey. But not a connoisseur choice. If you want to get the best aromas out of whiskey, you have to choose a nosing glass. Tumbler will do good when you’re not too fuzzy about the whiskey tasting session. Or if you want to get big mouthfuls or have whiskey on the rocks. Then tumbler is your choice. Personalizing your Scotch glass is fun and meaningful. I myself have two different branded whiskey glasses – Ardbeg nosing Copita glasses and a William Grant’s personalized Scotch glass tumbler. 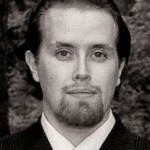 My Copita Ardbegs are great, they have the original Glencairn kind of shape combined with a nice neck to grab onto. William Grant’s tumbler was an impulse purchase from a tax free shop long ago. Back then I didn’t know much about whiskies, and based my whisky shopping on low priced liter of blended Grant’s with branded tumbler glass thrown into the bargain. Looking back, as self-educated whiskey aficionado, I made a great purchase. That Grant’s branded tumbler is still in use and I’ve actually noticed its greatness. It has a triangle shape, which captures the aromas a bit better than a regular square shaped tumbler glass. And it has the capacity of a tumbler so you can put lots of whiskey in it and take big sips if necessary. Which probably is the best thing about tumblers, along with the capacity to pour yourself a Scotch on the rocks. So my experience with personalized Scotch glasses are great – they have been practical as well as stylish. I’d still like to get a branded Lagavulin glass or something unique with sentimental value. That’s why a personalized Scotch glass with monogrammed initials or some other personal message would be great. Especially for a whisky lover who’s made whisky a hobby. Well what about the high end Scotch glasses? Like stated before in this article, even though the price is low for a regular Glencairn whiskey glass, those are some high end Scotch glasses. Of course there are lots of high end glasses for aficionados and professionals out there. Sometimes you have to pay lots of bucks for getting them, but for a whiskey enthusiast like myself, money isn’t always barrier when buying something “useful” regarding whiskey. There are lots of cool whiskey glasses, especially in Amazon and in other e-commerce shops as well. Just have a look yourself. 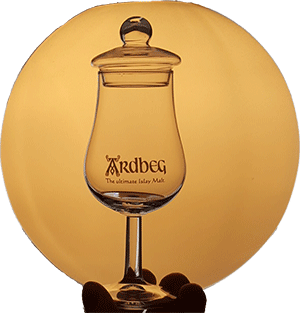 High end glass can be a regular Glencairn or the Cut Crystal version, or glasses with cool design or engraving. Just look at my article about different glasses to buy. You can also get your Scotch glasses engraved. It’s very satisfying when you have your own personalized glasses for whiskey. They don’t even have to be expensive to be unique or have sentimental value. You can get engraved Scotch glasses with a distillery logo or your initials monogrammed in them. Or something else, whatever is the idea you come up with. Check out my post about engraved glasses. Hope you enjoyed my take on bourbon and Scotch glasses. Remember, whether it is a nosing glass for whiskey or a whiskey tumbler – you are putting nectar of gods in it. Water of life a.k.a “uisge beatha” will always taste good no matter what kind of glass you’re having it.